Is New Hampshire's Wild Trout Management Program in Trouble? 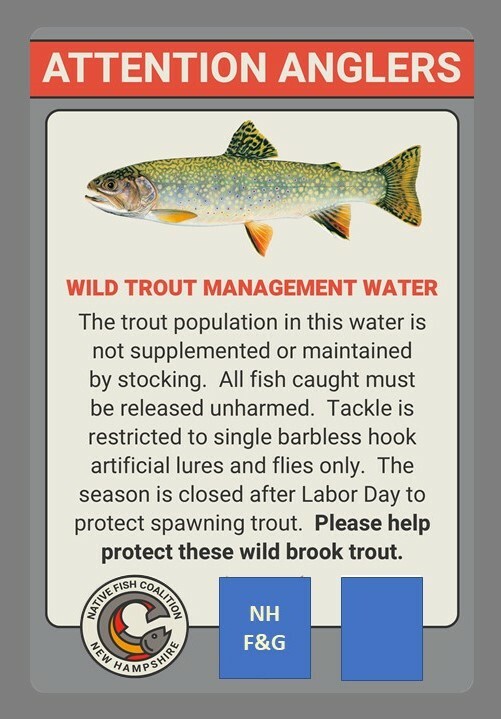 New Hampshire’s Wild Trout Management program is best in class when it comes to its inclusion criteria and the protections provided. Unfortunately, it is in big trouble. If a water meets the Wild Trout Management inclusion criteria and is so designated, the program can and has resulted in the suspension of what are unnecessary, costly, and biologically damaging stocking programs. There are no Wild Trout Management waters north of Dartmouth College Grant, including Pittsburg, arguably New Hampshire's most popular trout fishing designation. There are no Wild Trout Management streams south of Whitefield and north of Concord, an area rich in wild trout resources, and potential wild trout resources. While there are two small ponds, there are no Wild Trout Management streams in White Mountain National Forest, New Hampshire’s largest undeveloped public land. 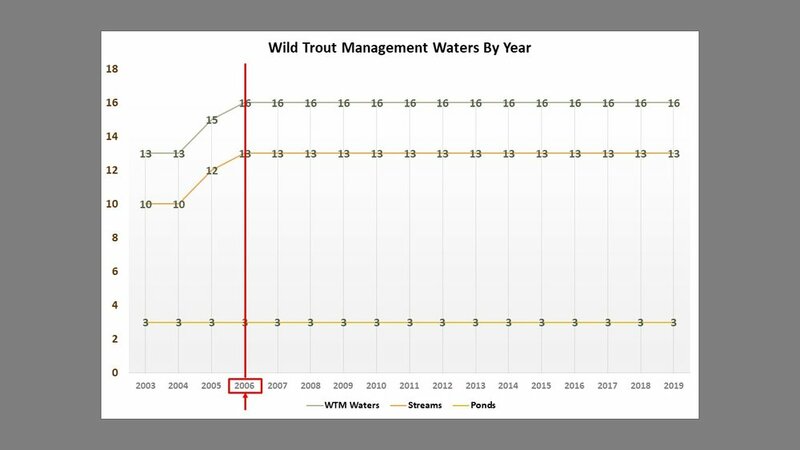 At least two Wild Trout Management waters are being actively stocked, and roughly 15 years after being so designated. 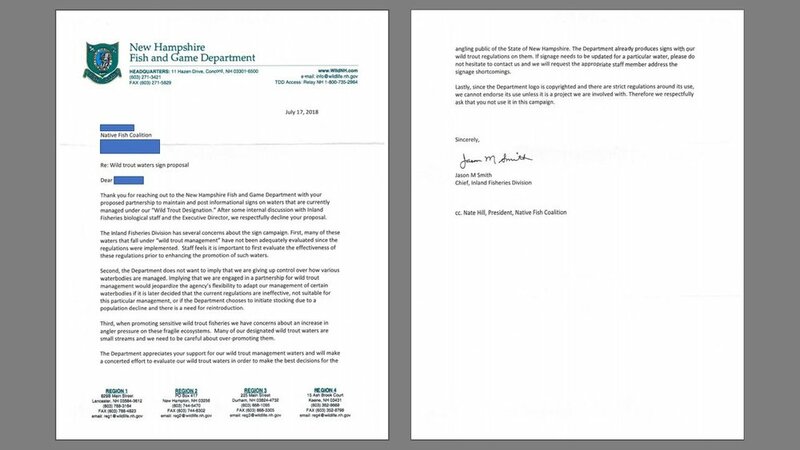 Unfortunately, things don’t look good for New Hampshire’s Wild Trout Management program, the only formal wild trout program in the state. It is badly stalled out, sparsely implemented, and being compromised by ill-advised and dangerous stocking, administrative errors, and a lack of informational signage at the source. Native Fish Coalition has worked hard to ascertain the facts and share them with the public. 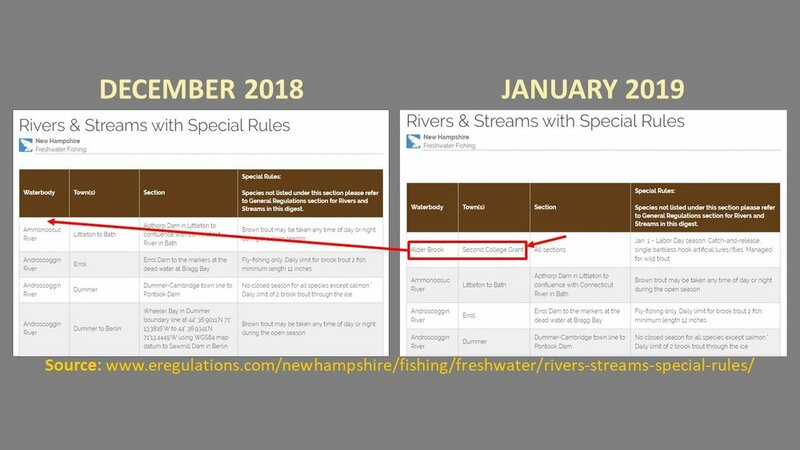 However, if there is to be any meaningful reform, anglers, conservationists, and NGOs will need to band together and put pressure on New Hampshire Fish and Game to expand the Wild Trout Management program, post signs, and otherwise embrace what is a valuable, important, and effective program.